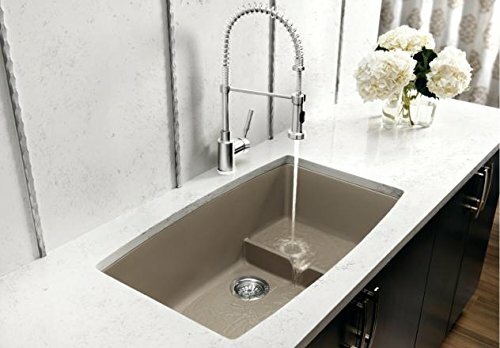 The Blanco Performa Cascade is such a unique, amazingly designed kitchen sink that we don’t want to waste any time introducing you to it. 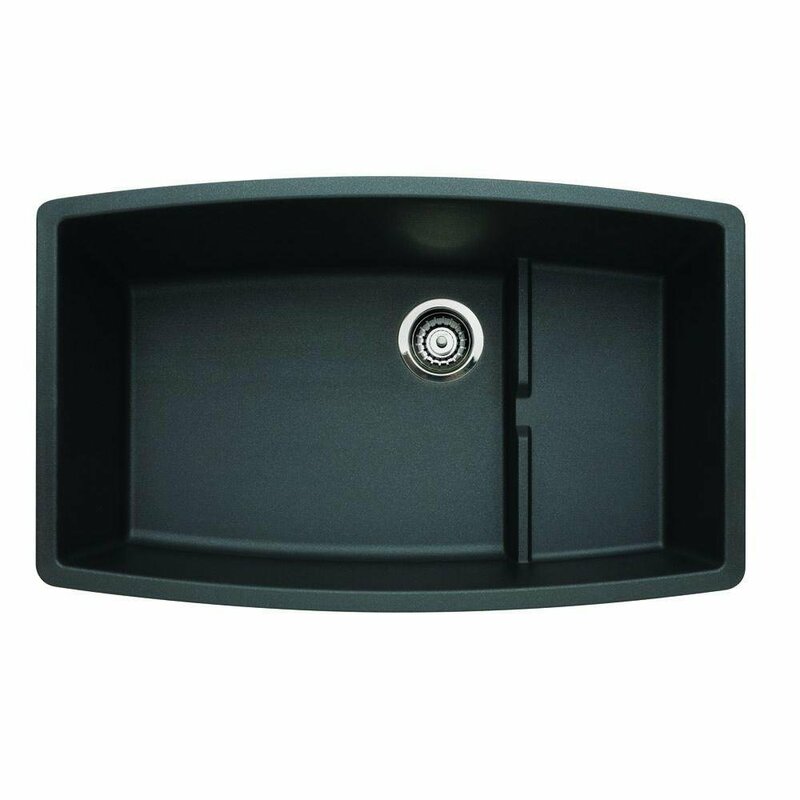 We just want to get to what exactly it has to offer so that you don’t have to wait anymore to get this beauty of a sink making your kitchen more wonderful in every way a kitchen sink can. 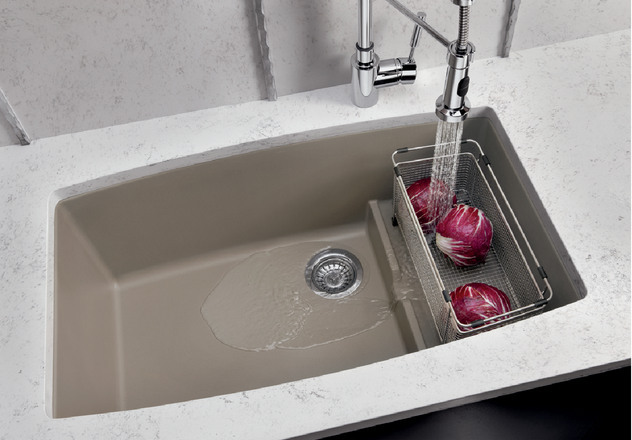 First things first, 80% of the Blanco Performa Cascade is rock-hard granite, arguably the most durable material a kitchen sink can be made of. We came across a customer review that mentioned how the customer has been using it for 5 years with no issues; they love the sink and would buy it again over everything else out there. However, our praise for its durability doesn’t end there. Being durable is one thing, but being completely resistant to all factors that damage or make a kitchen sink less attractive is just another thing. And this is where the Blanco Performa Cascade comes out as a winner. While this beast is durable as a tank, it’s also completely heat-resistant to the hottest utensils you can imagine tossing in it. A hot pan? A baking sheet? Perhaps a boiling pot? Well, guess what, the Blanco Performa Cascade would have absolutely no problem welcoming them all. It can handle temperatures of up to 536 degrees; need we say more? Then comes this beast’s ability to keep the scratches at bay, something that’s the most common and annoying issue associated with most other kitchen sinks out there. Be it the sharpest of knives or any other utensils with extremely sharp edges, they won’t be able to create a single scratch on the surface of this wonderful sink. This is perhaps something less talked about but can be a pretty serious issue as well. The surface of a typical kitchen sink is prone to losing its finish if there’s a regular exposure to things like lemon or grapefruit due to their acidic nature. However, the granite surface of the Blanco Performa Cascade easily stands out on this front as well, as it’s completely acid-resistant and would shine just as well no matter what type of acidic elements its surface is subjected to. Weren’t you excitedly waiting for this one? We know the worryingly increasing number of stains as you use a brand new kitchen sink can be saddening. If you can relate to what we are talking about, you will be glad to know that the Blanco Performa Cascade is designed in a way that lets it handle pretty much everything it’s bound to come across in a typical kitchen and still get away without getting scratched in any way. This is due to being made with a non-porous, ultra-durable material, that can handle something as extreme as a black tea as far as causing stains is concerned. Don’t let the term “single-basin” or the absence of a center divider fool you. The Blanco Performa Cascade is amazingly well-designed and allows you to clean the largest of utensils with ease and a great level of convenience. There’s ample of cleaning space and you would have no problem washing the largest of utensils you can imagine in your kitchen. The ease of clean is further enhanced by the small colander that helps you take care of all those small items and keep things organized and make the cleaning process extremely efficient. Also, the single drain ensures that you get more space under the sink, which is always something pleasant to have when you’re doing a lot of cleaning. Despite the tank-like durability and all the amazing resistant qualities that the Blanco Performa Cascade brings to the table, it’s still surprisingly beautiful. The bold black color is sure to enhance the look of any type of kitchen it becomes a part of, while the classy sparkling metallic finish gives it a very luxurious look and feel. The granite material is great – very unique and gives the sink a pleasantly different look from most other sinks out there. Finally, you get all these things and a lot more (that we didn’t cover here) for the price of a mid-priced kitchen sink. However, there’s probably nothing in the Blanco Performa Cascade that’s not as high-end as some of the other sinks costing well in the triple-digit range.